A fresh herdsmen/farmers’ clash has been recorded in Adamawa State, again claiming the lives of 10 people and leaving five villages completely burnt in Song Local Government Area. The affected villages burnt were Simba and Shure, as well as other adjoining communities between Dumne, in Song and Shelleng Local Government Areas the state. Locals who escaped from the scene of carnage told newsmen that that trouble began when herds of cattle overran a water pond, the only source of drinking water for the community, and attacked a woman fetching water there. The woman, according to the survivor who received machet cuts for daring to complain about the roaming animals, rushed back to her community in her pool of blood. The community members quickly mobilised to the pond whereupon trouble started between Fulani herdsmen and community members. In the ensuing confrontation, about four herdmen were allegedly killed by members of the community; and in what appeared to be a swift reprisal attack, the herders launched a ferocious onslaught on Simba and Shure villages and other adjourning communities. The villages were razed, while an unspecified number of people were allegedly killed by the herders.. The state police command confirmed the attack through it’s spokesman Othman Abubakar, a Superintendent of police . The PPRO, however, could not give the causality figure promising to get full details of the attack from the DPO in the area. Recall that it a similar attack on the community, in 2003, claimed many lives and properties. 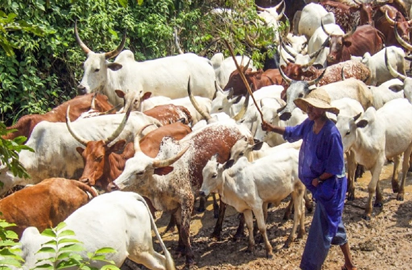 The post Herders/Farmers Clash 10 feared killed In fresh attack in Yungur Song Adamawa appeared first on Vanguard News.